The auditorium doors are open at 7:00 pm to allow time for visiting our extensive lending library, the Block-of-the-Month / Outreach (CORE) / Workshop and Publicity tables. Our monthly meetings begin at 7:30 pm and usually consist of a business portion, “Show & Share”, a social intermission for tea, coffee and a “treat”, followed by the program, which often features a guest speaker. Don't forget to bring a mug or cup. Please join us for our meetings. Claudia is the owner of an online quilt shop called Fabric Please from New Hamburg. She will entertain us with a small trunk show, perhaps show us a new tool or two and then let us shop at her mobile store. This program is a great way to break into the new guild year. How did a visit to an outdoor quilt show in Calgary inspire a quilt show at Toronto's Black Creek Pioneer Village that has grown every year? The"Quilts at the Creek" gang will present a 45 minute talk about the evolution of this show, from idea to reality. We will discuss how it started and how we have grown, including our challenges and our successes. We will display some of the quilts we have shown over the years, and share our plans and hopes for future show. And you can find out how to be involved with this growing show! Marilyn is an award winner quilter from Heidelberg in Waterloo Region. Marilyn is the sole Canadian on the Handi Quilter 12 member inspiration squad. Her quilt “See the Leaves for the Trees” was David Taylor’s Judge’s Choice Award in Houston last year. Learn more about Marilyn’s quilting journey from the recent article in Grand Magazine. Marilyn will share some of her favourite quilts with us. December 6, 2018 Social evening - Join your fellow quilters for a bit of holiday fun and friendship. We’re going to have a blast at our Christmas social. There’s a bunch of fun games planned to stretch your brain and you might just learn some new things. There’s lot of prizes to go around. Don’t miss out. No need to prep – bring yourself and I promise to keep you entertained the entire evening. January 3, 2019 Rule the rulers!! 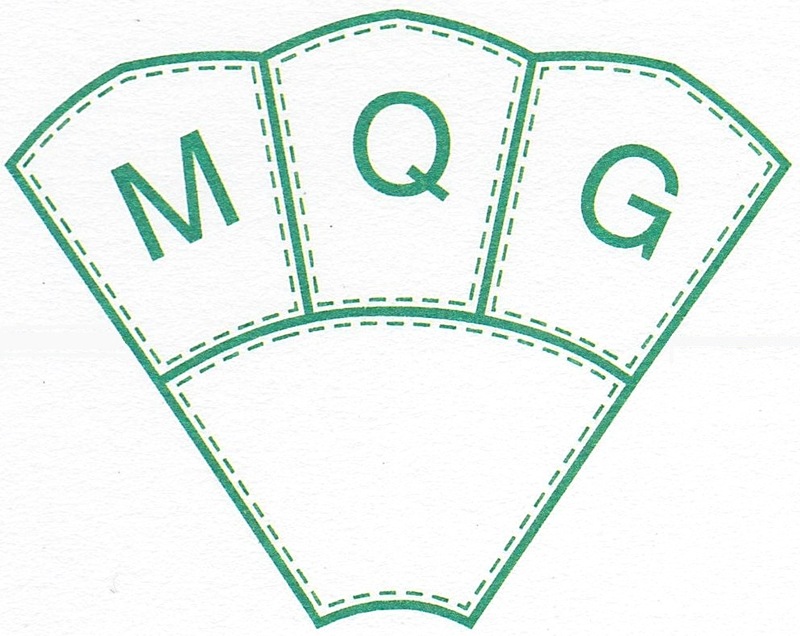 The January program is going to focus on quilting rulers. If you got questions about rulers, we’ve got answers! How to prevent them from slipping, which ones are useful and which are not, what’s the difference between a ruler and a template. I saw this great speciality ruler and do I really need it? If you have a specialty ruler or any specific questions about rulers, please e-mail Elaine at elainetheriault@gmail.com before 4:00 PM on Thursday, Jan 3 so your ruler can be included in the discussion. Feel free to bring your specialty ruler if you have one that you’d like reviewed. February 7, 2019 Toni Smith - https://quiltoni.com- Toni has been selling her original Comic Book and Video Game quilts at conventions for years. Her pattern line of pixelated quilts teach the basics of quilting while teaching experienced quilters new techniques. Toni will be selling patterns at the meeting. March 7, 2019 Carla Alexiuk - http://www.quiltingbytheriver.ca/ Carla will be entertaining with her trunk show called “What I’ve learnt from Quilting”. She specializes in teaching traditional quilting, innovative piecing techniques and creative design principles for every level of quilter. Karen has been a longarm quilter for many years and is going to give us the ins and outs of searching out a longarm quilter and prepping your quilt for longarm. Among the many aspects that will be discussed are thread, patterns, different quilting designs, different kinds of quilters based on machine, batting, backing, and more.